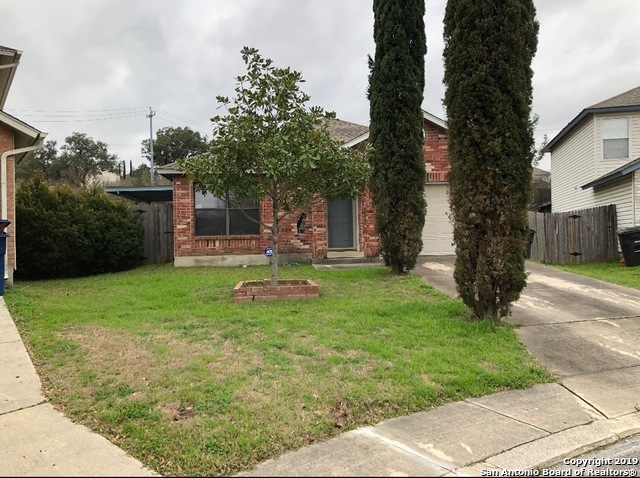 All CREEKSIDE homes currently listed for sale in San Antonio as of 04/22/2019 are shown below. You can change the search criteria at any time by pressing the 'Change Search' button below. "Lovely home in a small community. Home has a nice study with french doors, open living / kitchen area, and backs up to a greenbelt. Currently the home is tenant occupied, so notice is required for showings. Pictures are from when the property was owner-occupied. Washer / dryer / refrigerator are negotiable." "3 LIVING AREAS DOWN STAIRS, ENTER INTO A LG LIVING, THEN ENJOY THE OPEN FAMILY/KITCHEN AREA THAT ENCOURAGES EVERYONE TO PARTICIPATE IN THE COOKING AND FAMILY TIMES. UPSTAIRS HAS A KING SIZE MASTER BEDROOM (ROOM FOR A LOVE SEAT, RECLINER, STUDY OR CREATE A NEW BABY AREA, IT'S UP TO YOU), UPSTAIRS FAMILY AREA HAS ROOM FOR EVERYONE. OWNER WAS GOING TO STAIN DOWNSTAIRS LIVING AREA FLOOR BUT WILL NOW CONTRIBUTE $2,000 TOWARDS NEW BUYERS CREATIVITY AND $400 FOR A HOME WARRANTY. A BIG HOME READY FOR "
"Beautiful 3bed/2bath home with open floor plan, updated floors, updated bathrooms, covered back patio that is great for entertaining friends/family and a storage shed that conveys with home, and overall a very nicely taken care of home. Very nicely taken care of landscaping, and a side fence for pets which is another plus. Close to shopping areas, Sea World within 5miles, and family entertainment. Come see your next home before it is gone. This home is ready for you." "Welcome home to very well maintained home in Creekside! Tile throughout family room and dining room downstairs. Upgraded chandelier in dining, and ceiling fans throughout family, and all bedrooms upstairs. Large covered deck in back, wonderful for sitting and relaxing or backyard get togethers. Great privacy fenced backyard. Eat-in kitchen. Newer water heater. Spacious bedrooms upstairs, and master with high ceilings. 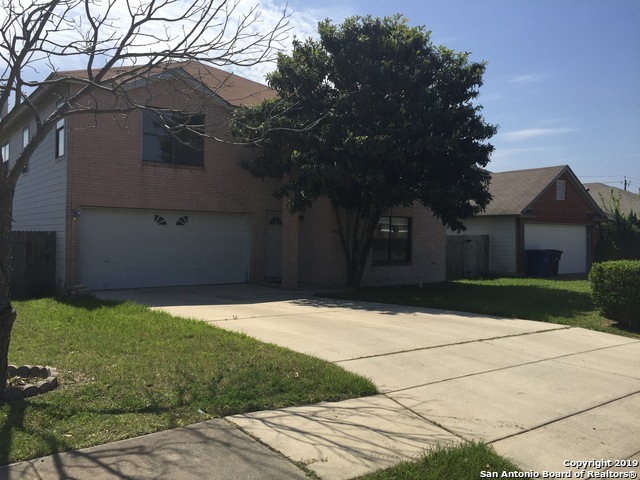 Close to Lackland, shopping and Sea World! HOA offers tons of amenities, don't"
"FRESH NEW REHAB! Beautiful single story brick home.Brand new laminate wood plank flooring, new stainless steel appliances.Redone bath rooms, fresh new paint inside. Huge backyard with good size concrete slab perfect for entertaining family/friend functions or BB court. Great location near hwy 151, Seaworld , northwest vista college, and more. Be sure to add to your list of must see!"